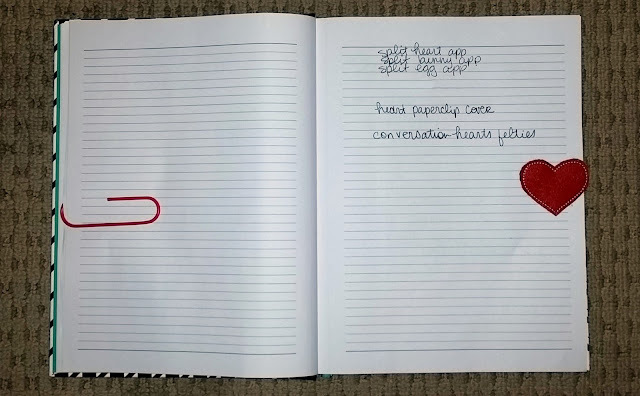 I’m sure you’ve seen in popular etsy shops lately the trend of using feltie designs for paperclip toppers to make adorable placeholders in books, folders, or my very favorite – a planner! 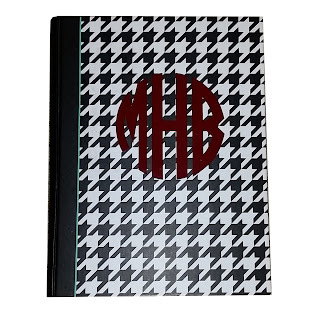 I am a planner addict. I do not have the calendar type; I just keep a hardbound notebook on me at all times that is divided (haphazardly) into different sections, like digitizing ideas, important phone numbers, doodles and drawings, daily To-Do lists (so many lists. SO MANY lists), family appointments or reminders, etc. Click on the book below for a link to the Amazon listing for the book that I use; I guess since it’s not calendar-organized it’s a “journal” but whatever. NOTE: Mine was $10 at CVS last year! 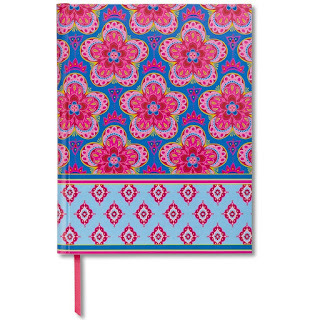 It’s a little bit of a sore subject that I lost my last planner SOMEWHERE in Nashville and I never found it; it was the one in the Amazon listing above you can see that is a neon cheetah print. Those ideas and lists are gone forever, but I’ve moved on. Really. 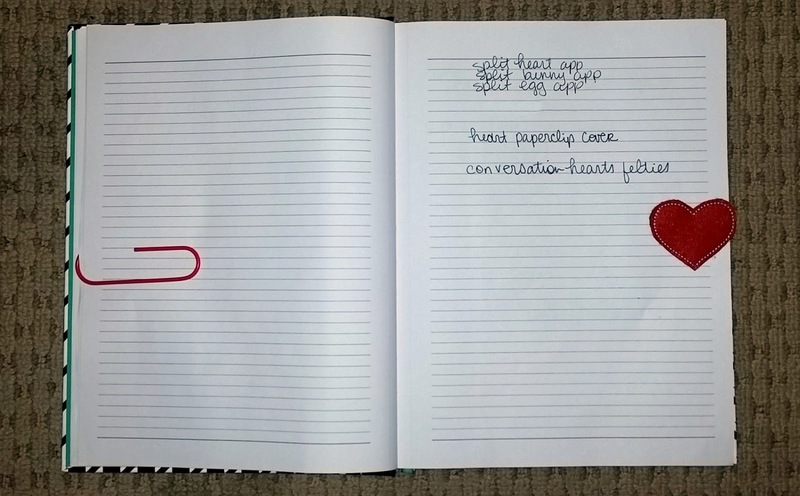 So ANYWAY, when I saw this trend of using felties as bookmarks or page clips I felt an irrational amount of joy. I already have some great feltie designs, I am always whipping up more, and anything that can help my little paper brain get better organized is a great project for me! 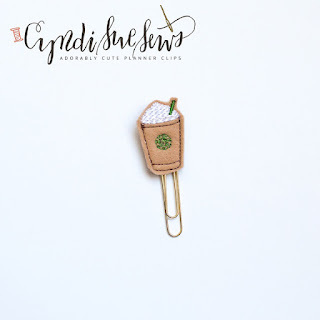 When Cyndi of Cyndi Sue Sews shared a stunning photo of my frap cup feltie used as a paperclip pagemarker, that was it. 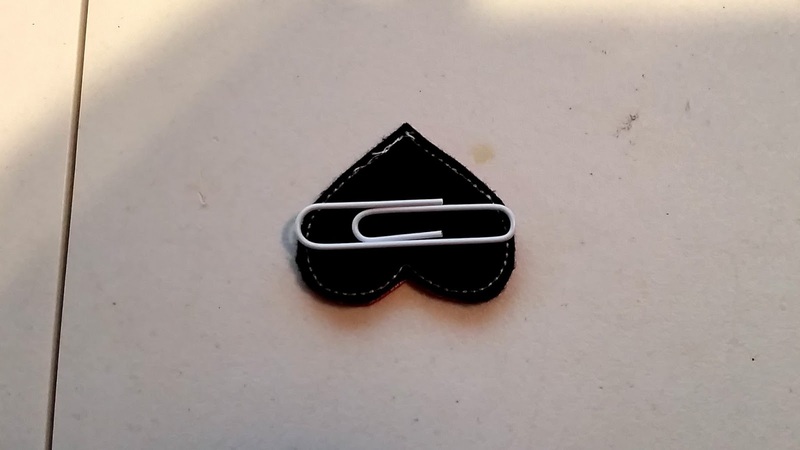 I had to craft one and share the results! 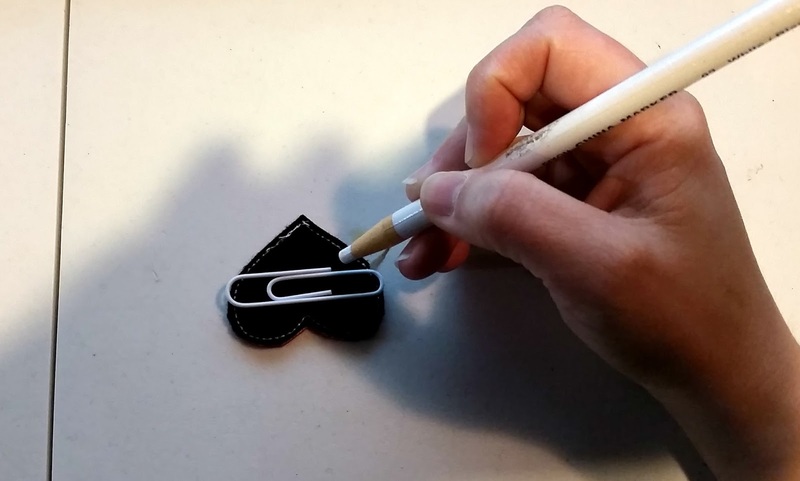 One of the most frustrating aspects of embroidery, in my opinion, is having ideas for new, fun projects and realizing that you have to purchase a digital design just to try your hand at the new craft. 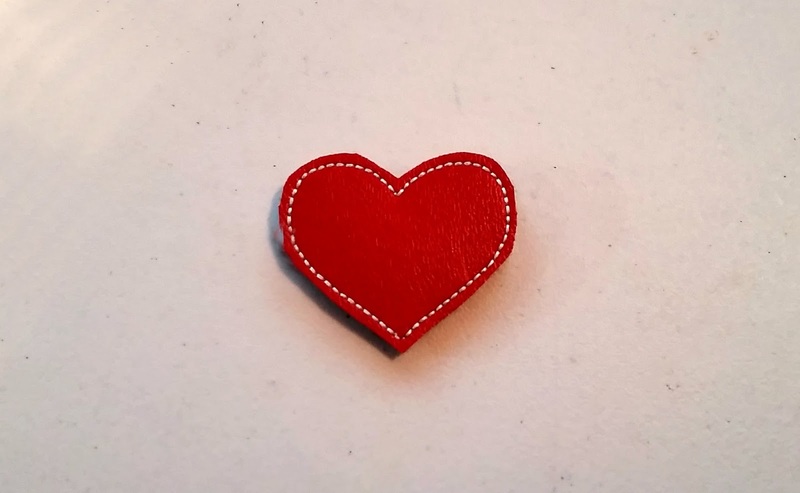 Recognizing this pitfall, sympathizing with my peers, and realizing that Valentine’s Day is about two weeks away, I felt like I could give away a simple heart feltie freebie so everyone could have a basic to try the project before deciding if they wanted to go nuts buying felties on etsy. Besides, hearts are cool year-round! You can grab my heart feltie freebie by joining my Facebook group here. To preface my tutorial, as I always say, there are probably twenty ways to do everything in embroidery. Just because I take pictures of my methods and do the tutorial does not mean that you must do it the way I’ve suggested. Everyone has their own tips and tricks, and mine are not embroidery law. Experiment with your own projects and have fun! 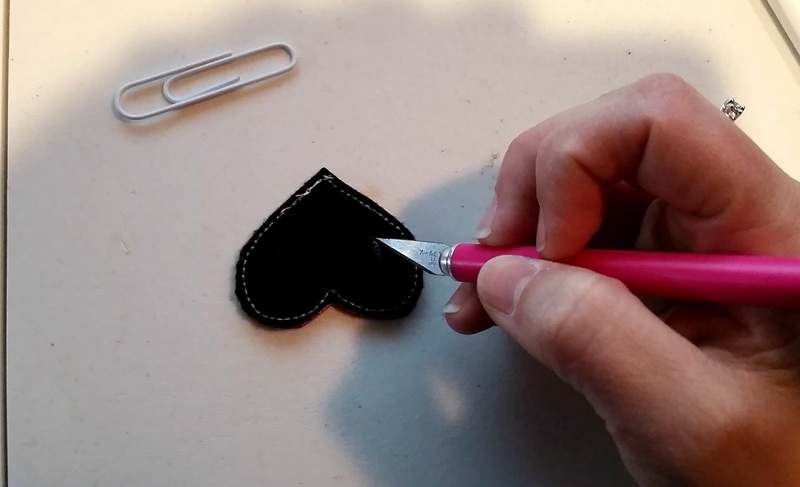 I load up my heart feltie embroidery design and stitch it out as usual. Alternately, if you’re feeling froggy, you can skip the tackdown stitch by just placing the front and back fabrics on your hoop and doing the finishing stitch at once. 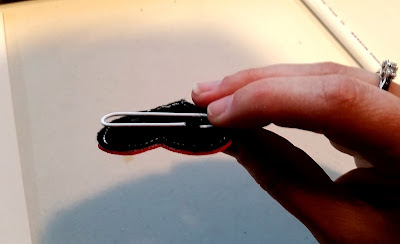 You’re going to use a craft knife to cut a small slit into the backing of your feltie to insert one side of the paperclip inside, using a craft glue to hold it into place. Let’s begin! 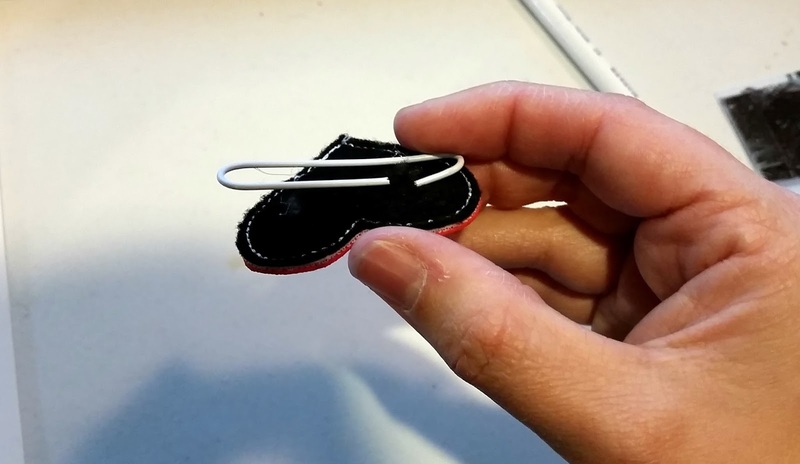 Flip your feltie over and place your paper clip on top of it. Here is where you can eyeball the little cut you’d like to make. I use a tailor’s chalk or china marker to mark a little line where I want to cut. 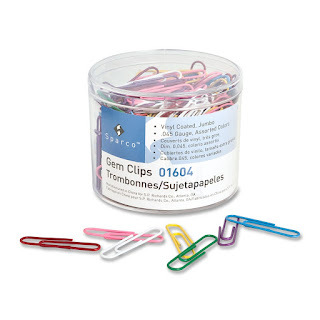 Now carefully use your craft knife to cut a slit about as wide as your paperclip. 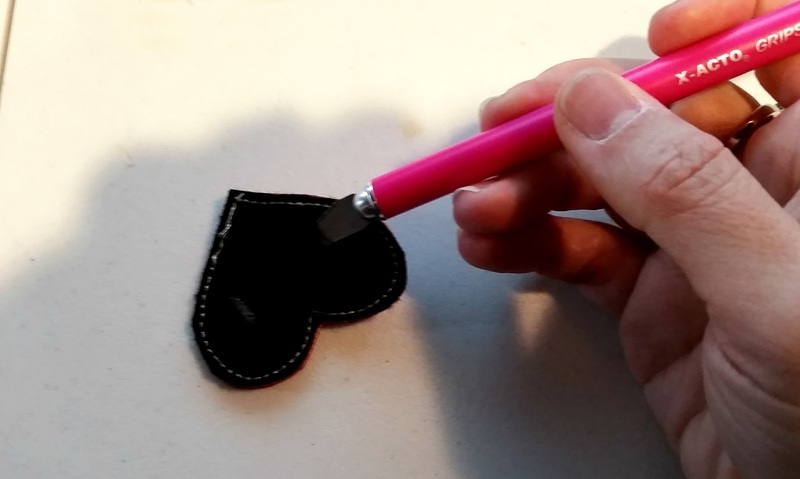 Be careful not to cut the front of your feltie! I like to start with very gentle pressure, and then..
insert the knife in at an angle, so I’m more in control of the cutting and not bearing down straight toward the front of the feltie. Next, bend one side of your paperclip just a bit so you can slide it easily inside the little hole you just cut. 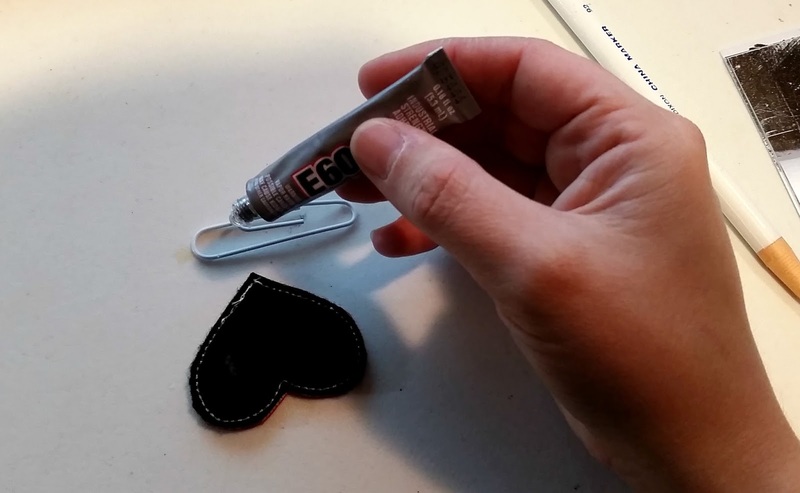 Use a hearty craft glue to put a small dollop on the rounded end. *NOTE: If you’re using E6000, be sure to open a window or do this part outdoors or in a well-ventilated environment. gently bend the paper clip back straight, so that you have a little embellished paperclip. Here is what my finished paperclip feltie looks like. I don’t mind that it doesn’t stick out of the book. If you’re still into the “poking out the top” style of page markers, you can use these same steps, but change the orientation of the paperclip! Cool, huh? Do you make yours a different way? Feel free to share your technique in the comments!